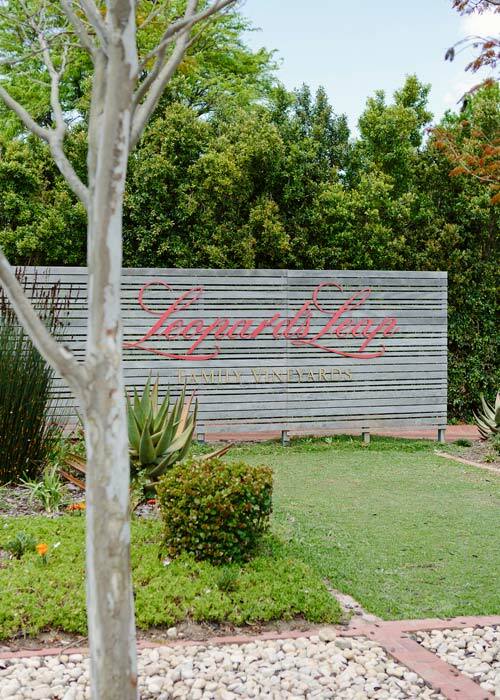 If you’ve ever had the pleasure of dining at Leopard’s Leap, you will be familiar with their generous serving style at their harvest table and irresistible rotisserie lunches. 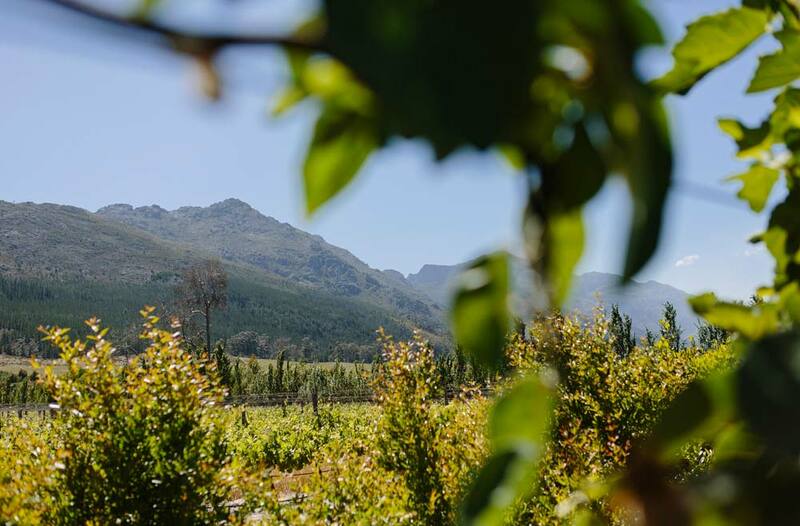 The Franschhoek-based wine estate is a real gem; graced with mountain views that stretch on for days and set amongst lush lawns and thriving vineyards. 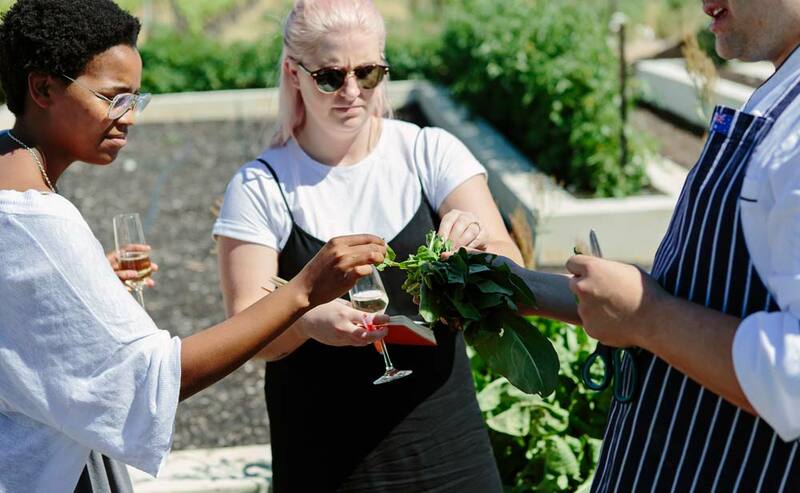 Apart from serving amazing food and creating wines that complement, Leopard’s Leap has utilised their vast space to create a flourishing veggie garden that is not only beautifully laid out, but is hardworking too. Currently, it supplies the busy restaurant with roughly 60% of their produce. It features everything from sorrel to carrots, tomatoes and courgettes, onions, butternut, strawberries, a variety of herbs and even figs and pomegranates. Quite a feat for a garden that is roughly six years old. 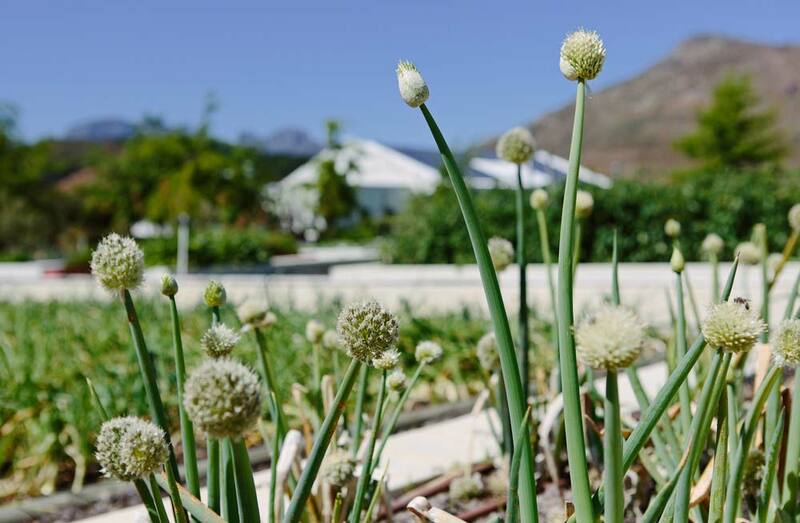 Oom Dirk is in charge of the garden and works with head chef Pieter de Jager to ensure that the garden produces as much fresh, seasonal fruit and vegetables as possible to be used in the restaurant. 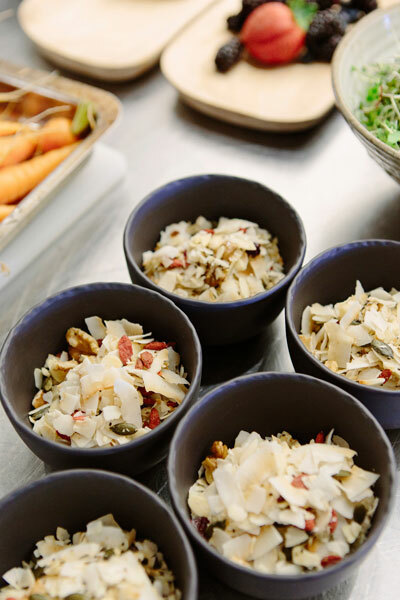 The relationship between kitchen and garden is an organic one that sees Pieter and Dirk sitting down at the start of each season to discuss the restaurant’s needs and what veggies are to be planted. Along with planting desirable produce, Dirk also knows what plants work best on the vineyard’s soil. That is why things like carrots, beetroot, lettuces and onions will always be planted, because they grow so happily. 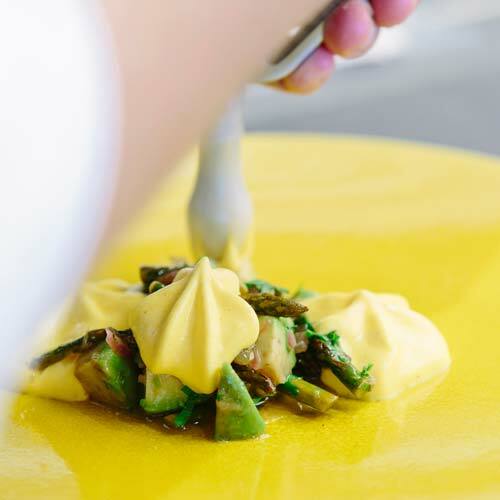 Oom Dirk is as essential to the success of the restaurant as chef Pieter is, having grown up learning about the art of gardening from his parents in Clanwilliam. 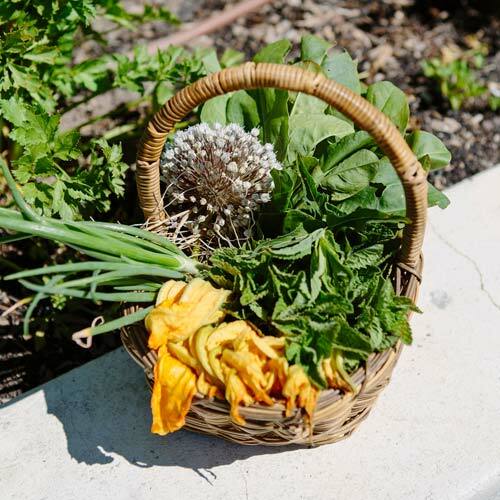 At Leopard’s Leap, the garden may be six years old and flourishing, but Dirk admits that it wasn’t always smooth sailing and that even now, each season is different, and keeps him on his toes. Well, that and the guinea fowl and pheasant that peck at his fledgling plants! 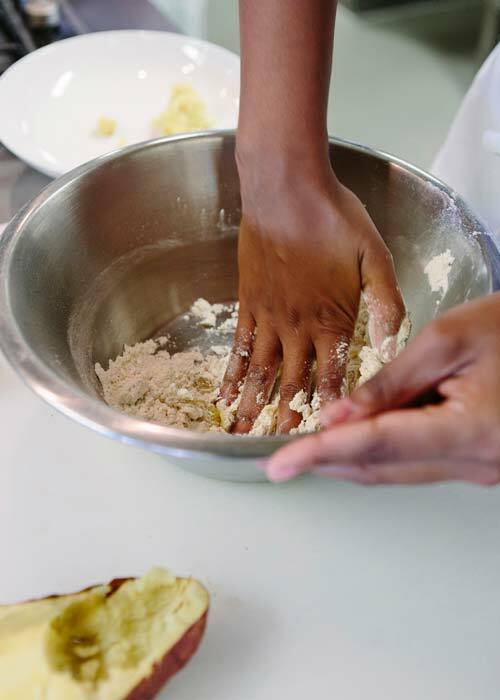 One of the most unique aspects to Leopard’s Leap is their cooking class offering led by chef Pieter and his team. 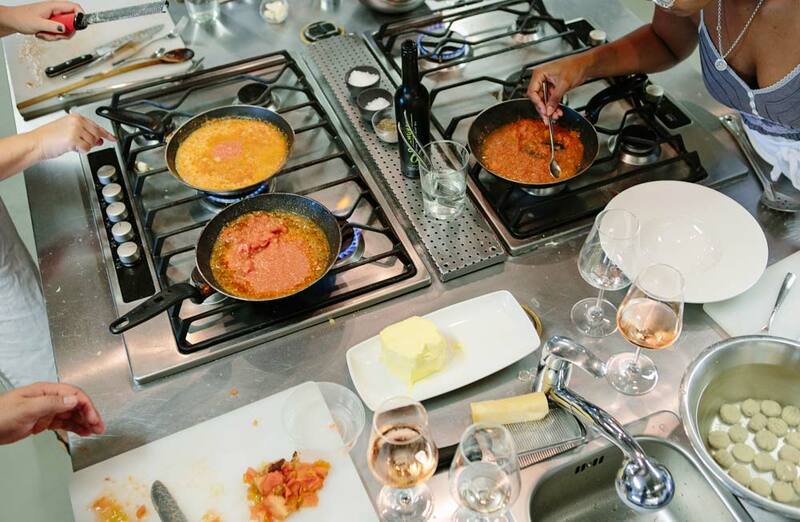 The classes cover a variety of topics and give avid foodies a chance to experience a ‘masterclass’ with a professional and learn invaluable tips and tricks. The Crush team visited Leopard’s Leap on a sunny October morning to enjoy a real harvest to table experience. 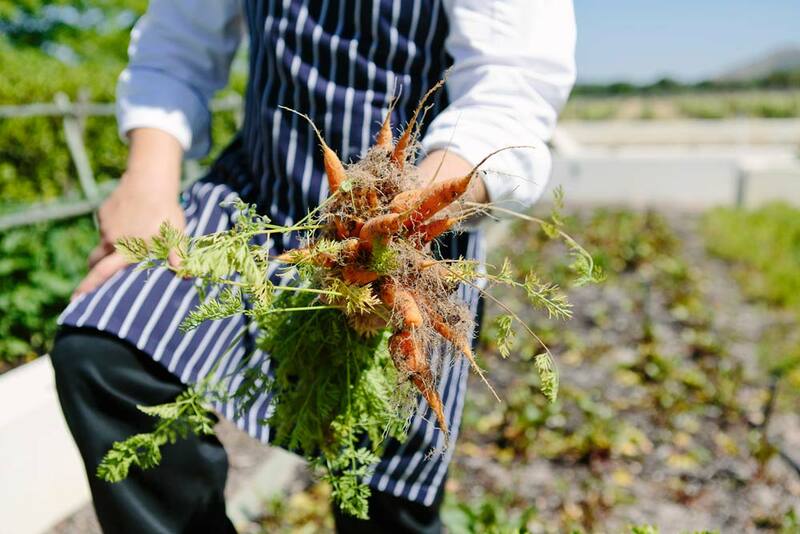 It doesn’t get any fresher than picking ingredients right out of the garden and that is exactly where we started. 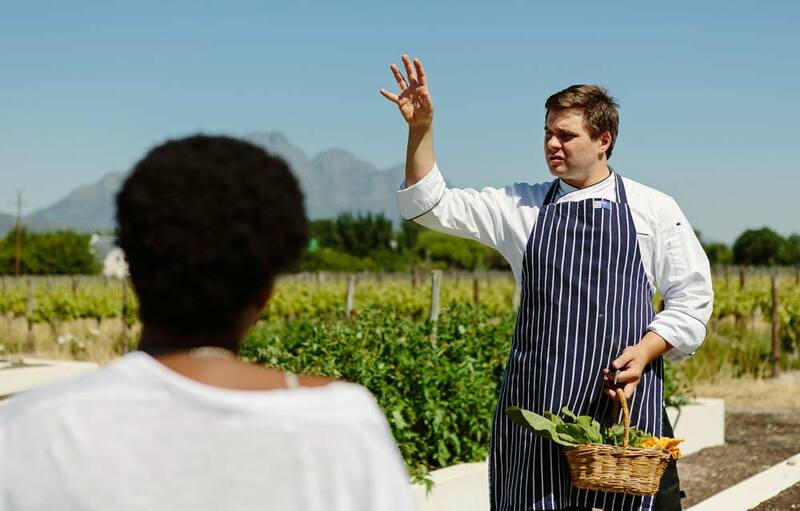 Chef Pieter gave us a tour of the impressive garden, imparting some real nuggets of information. If gardening is meant to be therapeutic then picking fresh veg out of the ground and cooking with it must surely be meditative. This is a real harvest to table way of life, showing that putting love and care into something will yield only the best results. The produce we picked was of a quality you simply can’t buy in a store, ready to be transformed into a veritable feast. 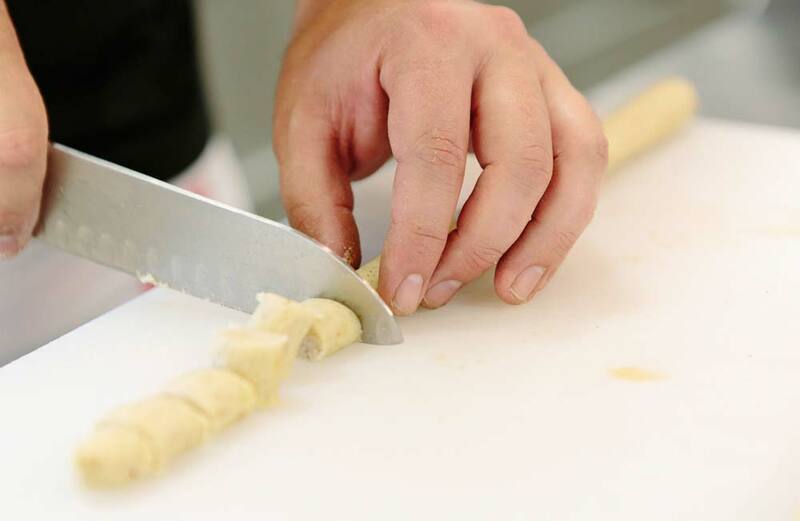 You would imagine that someone with as refined a training as Pieter’s would want to be as far away from amateur cooks as possible. However, this is not the case at all, he revels in being able to share his wealth of knowledge. He is calm and patient, with none of the stereotypical hot temper that chefs of his calibre are known for. 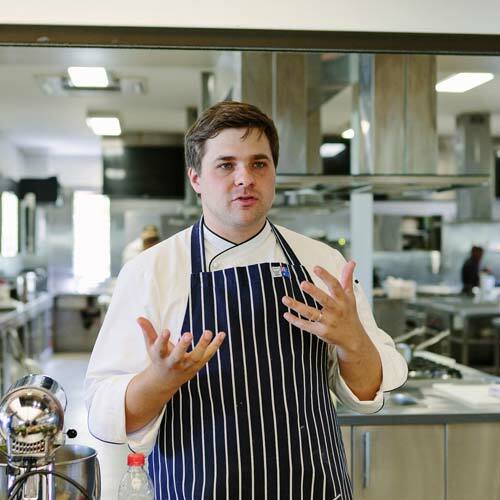 Pieter makes for the ideal teacher, guiding the demonstration part of the class with ease, ensuring involvement starts then with guests being invited to smell, taste and inspect ingredients being cooked. 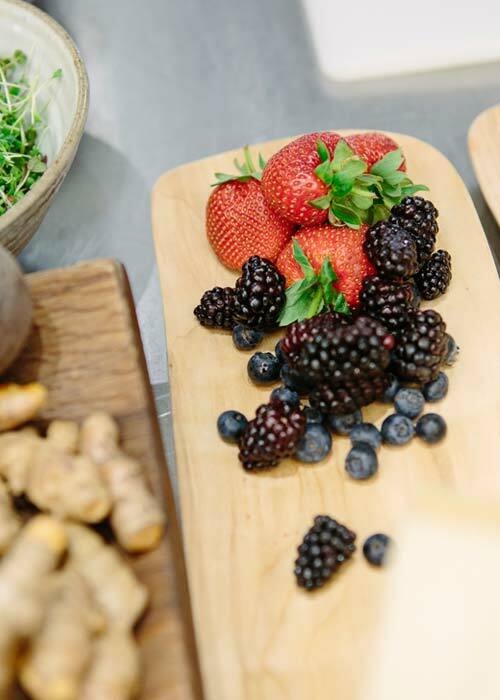 He got our appetites going immediately with a nutty and decadent granola, homemade and served with fresh berries, still warm from the sun. 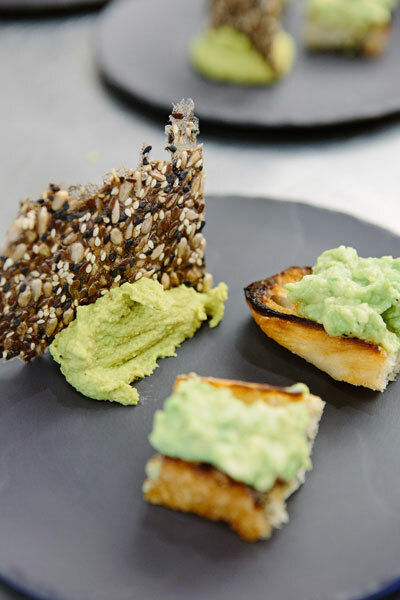 Following that with zesty avo on sourdough toast and pea hummus served with seed crackers. Moving on to the cookery part of the day, he’s never too far away to answer questions and swiftly remove pans from the heat that may be over reducing. Just in case he may be elsewhere engaged, his jacked up kitchen assistants are on hand to step in. Vegetables as fresh as Leopard’s Leap’s really don’t need much done to them as they already taste tremendously good, but chef Pieter certainly blew us away with his cooking class. 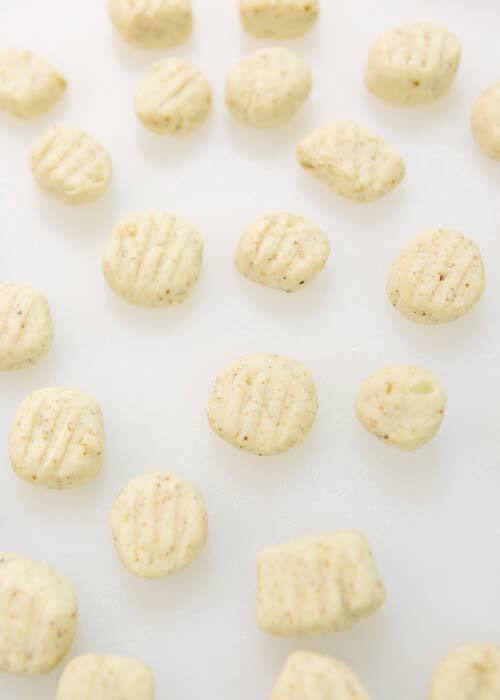 We put that delicious produce to good use in a number of exciting dishes, starting with making very quick and easy gluten-free sweet potato gnocchi. 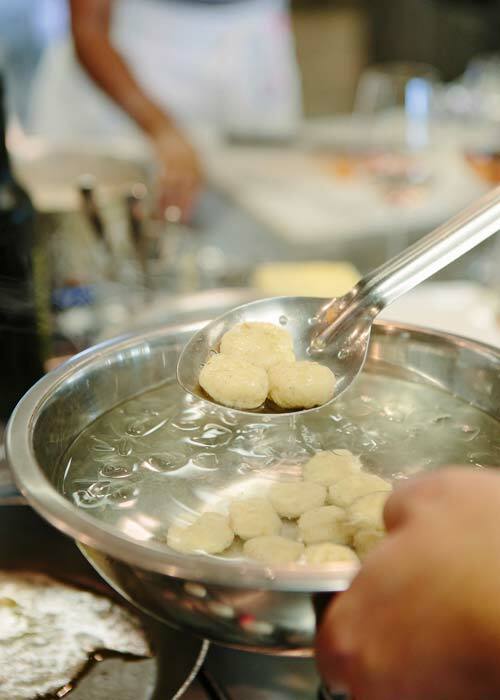 Pieter’s technique was a cinch, putting to bed the notion that gnocchi is time consuming and finicky. We simply combined roasted sweet potato with a few gluten-free flours and after a quick knead, they were ready to portion and gently poach. This ridiculously quick and easy gnocchi was topped with a heavenly Napoli sauce. We’re not fans of being overly verbose, but this napolitana was perfection. 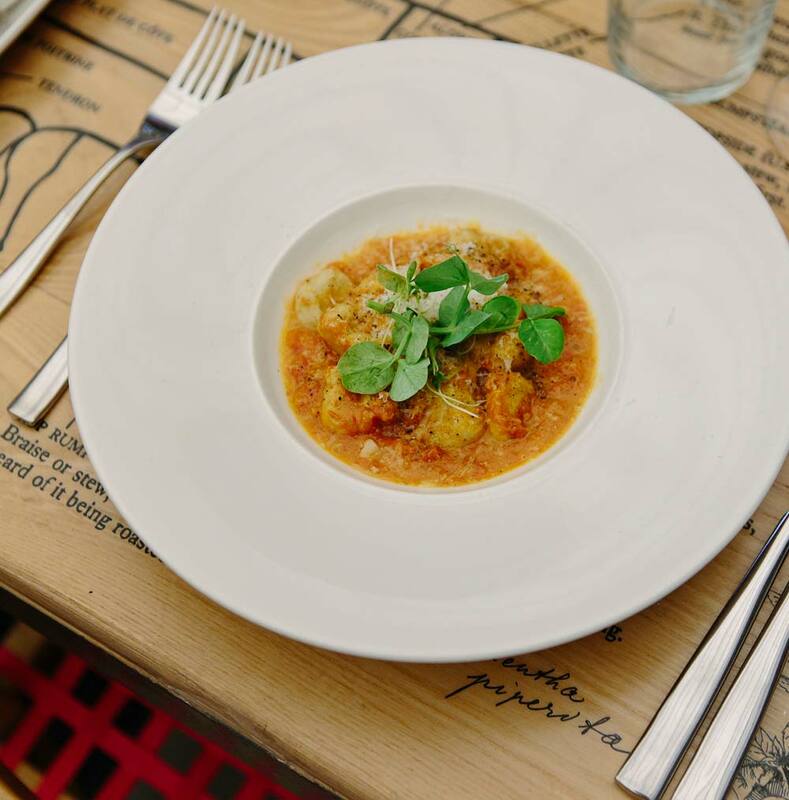 The process was simple and the combination of a nutty butter base, combined with roasted tomatoes, freshly grated garlic and then more butter to finish resulted in a rich, deeply-flavoured tomato sauce. 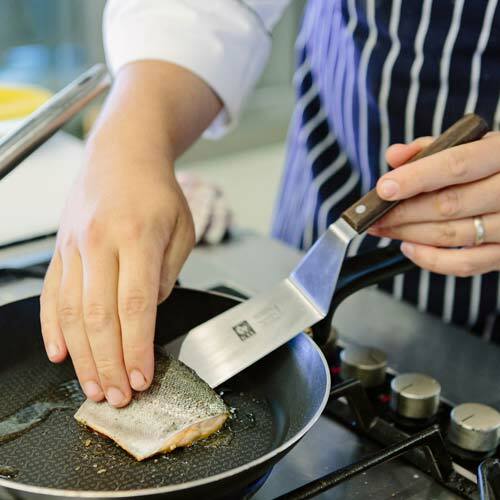 We were also shown how to pan fry our local trout, which was to be paired with a tasty melange of asparagus, finely chopped and avocado that was gently warmed through in the pan juices. The shining star of this dish, however, had to be the carrot veloute, which Pieter had prepared for us. Despite his sound instructions on how to use the espuma gun, one of us still managed to pull the trigger a little too zealously and sprayed bright orange veloute all over the kitchen! Being the well-oiled machine that Leopard’s Leap is though, any traces of the mess were swiftly wiped up. 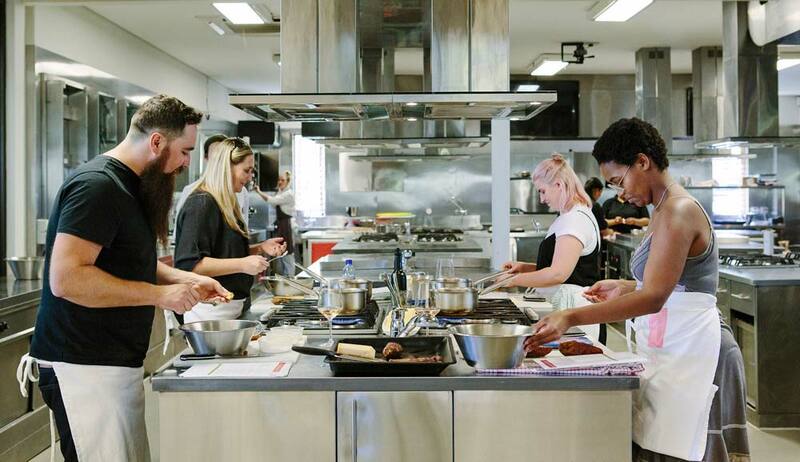 The best thing about the classes were how simply Pieter laid everything out, carefully explaining how to prepare the trout, ensuring not to overcook it. He explained the best way to saute our hand-picked veggies, so that they married with the fish perfectly. And while the masterclass was informative, the definitive best part of the day was surely sitting down to enjoy the fruits of our labour. Pieter added to the feast with a few dishes too. 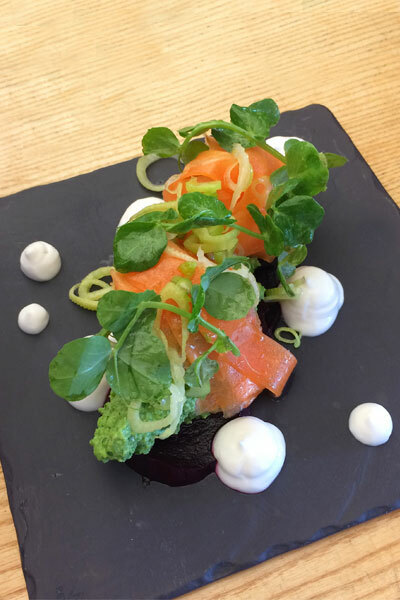 He had put together a beautiful lightly pickled carrot salad that featured sweet and sticky salt-baked beetroot. 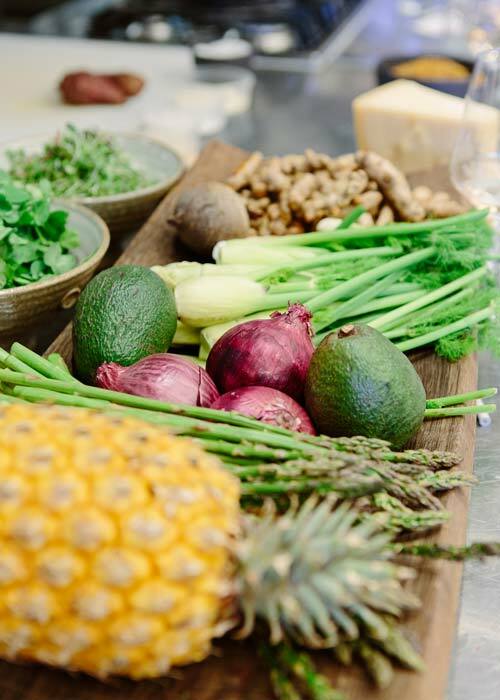 This was completed with macadamia cream and sorrel pesto, served alongside a refreshing pineapple carpaccio, making a hearty plant-based lunch. 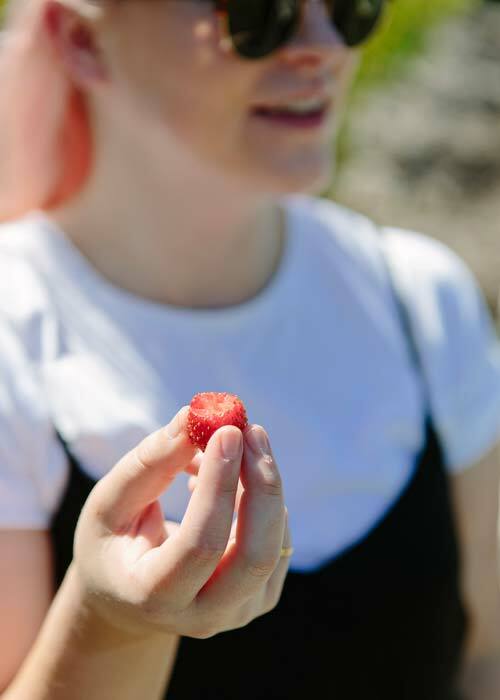 Interestingly though that with all these exciting flavours going on, the quality and characteristics of each and every vegetable absolutely shone through. You could taste that the carrots had been in the ground a mere hour before, same too of the onions, tomatoes and herbs. 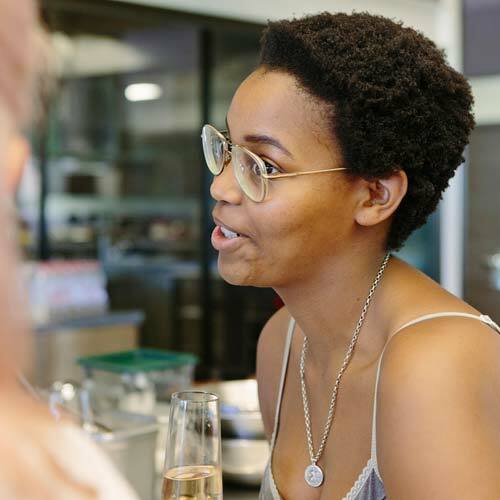 If living within a short driving distance of the Winelands has made you complacent and you find yourself taking its bounty for granted then absolutely visit Leopard’s Leap. This incredible wine estate will remind just why we are so lucky to live in the abundant Cape. 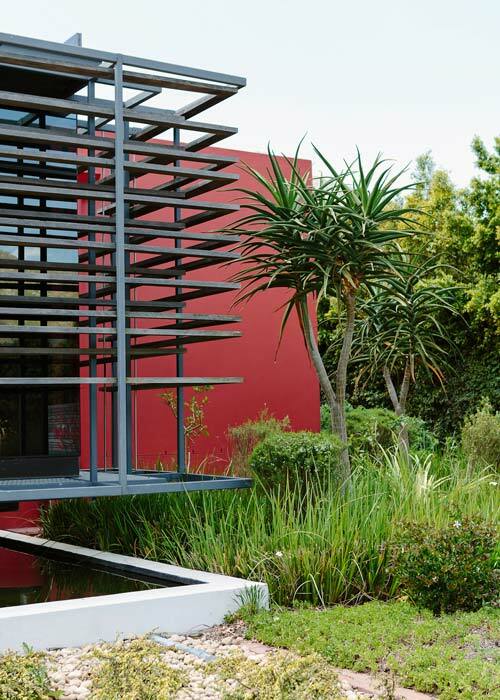 With a flourishing garden that is lovingly cared for, Leopard’s Leap proves that all life does begin with the soil. 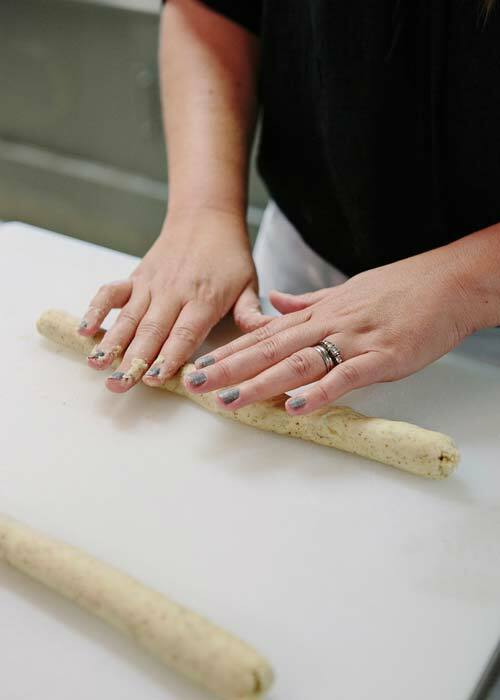 Keen to see just how simple and delicious these recipes were? 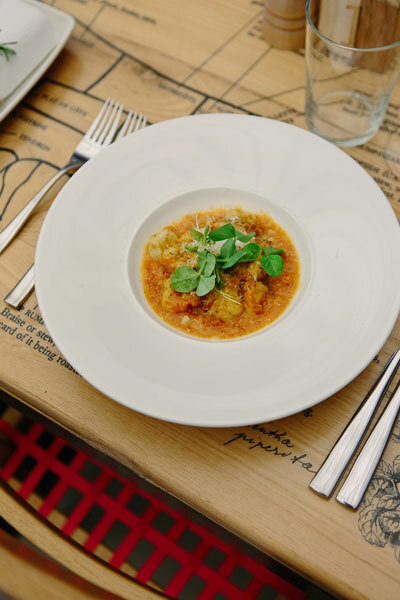 Try out some of Pieter’s stellar recipes here. 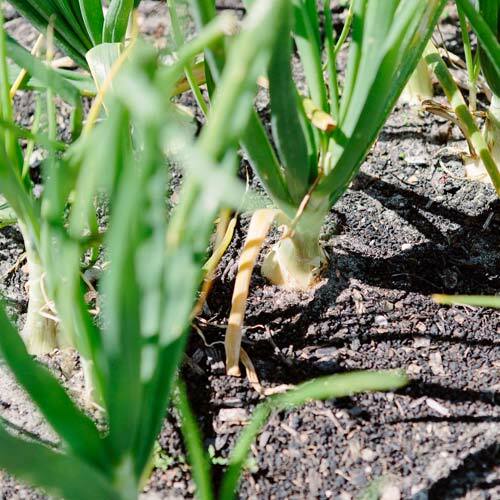 Delicious produce is grown in healthy, living soil. 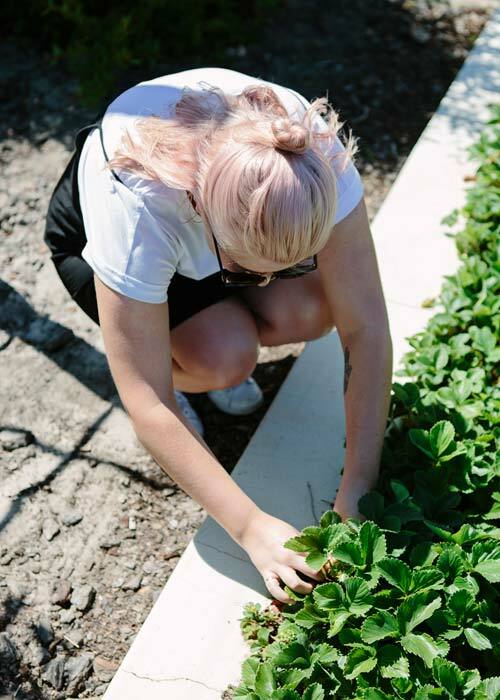 #Harvesttotable series brought to you by Reliance Compost.